There’s something deeply satisfying about Greek food, from the meze smorgasbord to the juicy, slow-cooked lamb (only the best steakhouses in San Francisco can compare). 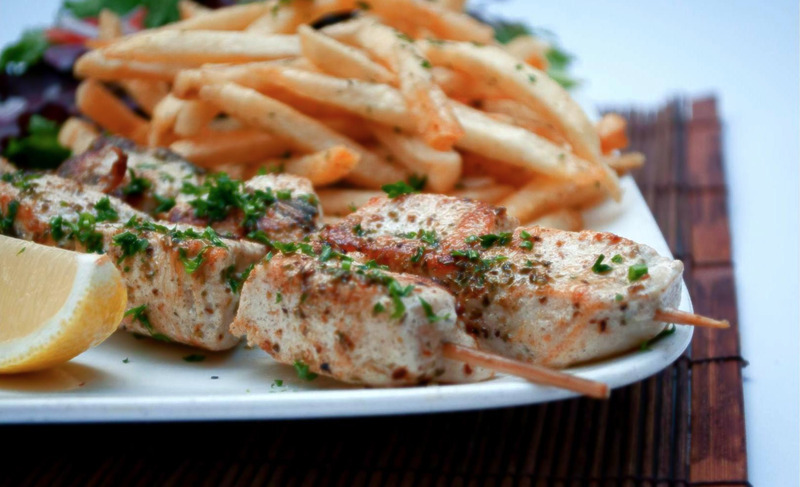 Many of the best Greek restaurants in San Francisco are family-owned and operated, which translates to traditional, no-shortcuts cooking. 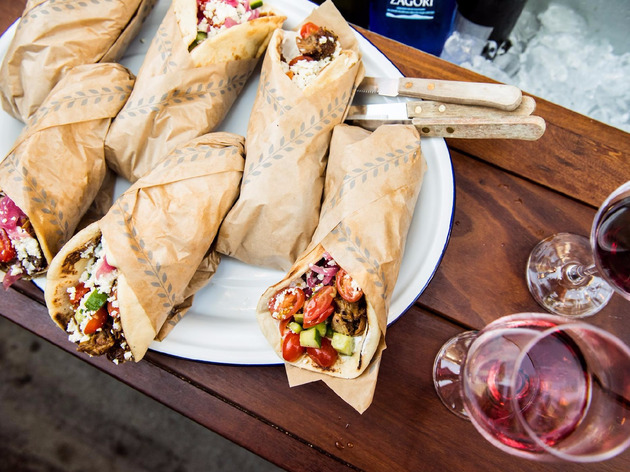 Whether you’re seeking a roasted slab of lamb or a quick and tasty wrap, there’s a Greek spot nearby (or check out the best Greek restaurants in the USA) to fulfill every craving. Crack open the retsina and dive in. With its roaring fireplace, dark wood detailing, and uncommonly gracious service, this renowned Greek spot feels luxuriously old-school. Despite the white tablecloth flourish, it’s named after a small fishing village on the island of Samos in the Agean Sea. (In Greek mythology, that’s also the place where Poseidon’s son, Orion, prepared elaborate feasts for his beloved.) 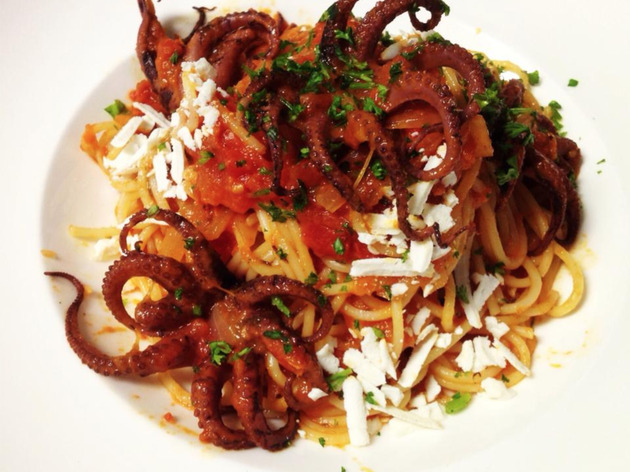 The emphasis is on citrus-spiked seafood and rich game dishes prepared on the charcoal grill and wood-fired oven, including lamb chops in an oregano vinaigrette and calamari stuffed with feta, orange and fennel. Greek-American owner Charles Bililies cut his teeth working at the French Laundry and Michael Mina. 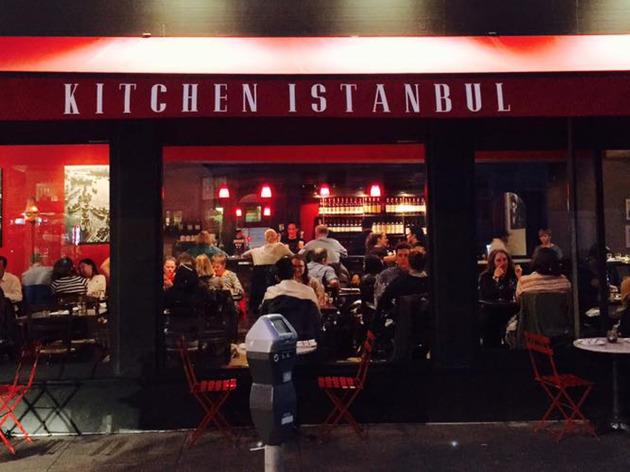 Now he’s a runaway success story in San Francisco’s exploding “fine casual” dining scene. 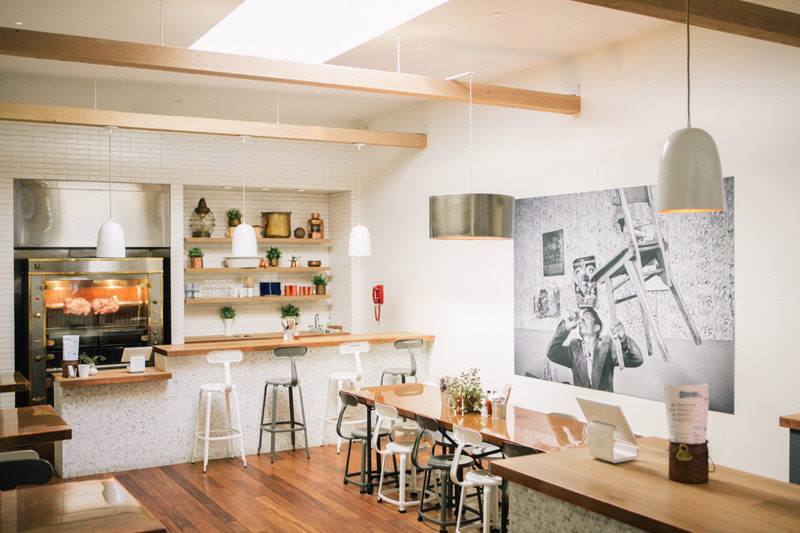 He launched his first tiny Hayes Valley restaurant in spring 2014 serving just two things: wraps and salads, plus Greek wine and beer. The genius was in the atmosphere—a gleaming copper bar, white subway tile, fresh flowers—and the high-quality ingredients. This isn’t any old wrap: fillings include American Homestead pork shoulder, Mary’s free-range chicken and Superior Farms lamb, each complemented by flavorful toppings like pickled red onion, navel orange and garlic-spiked Greek yogurt. Whole chickens twirl on a row of rotisserie spits behind the bar (souvla translates to “spit” or “skewer” in Greek), and are available for take-out for $20 apiece. 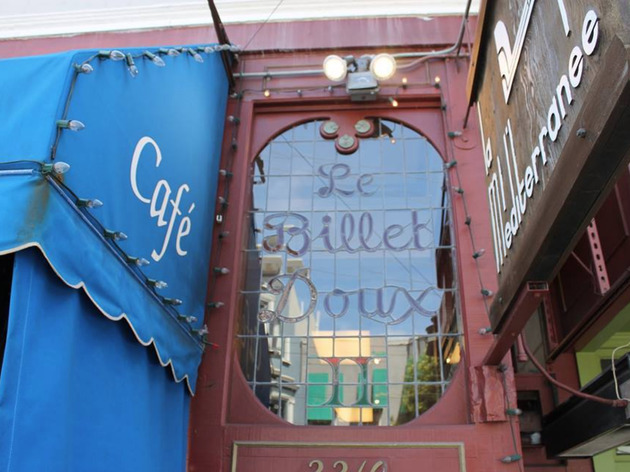 Billilies has expanded his empire over the past few years, launching sister locations in NoPa and, in early 2017, the Mission. Finish your meal with a cup of frozen Greek yogurt, which can be garnished with sour cherry syrup, Greek olive oil and sea salt, baklava crumbles or Cretan wildflower honey. 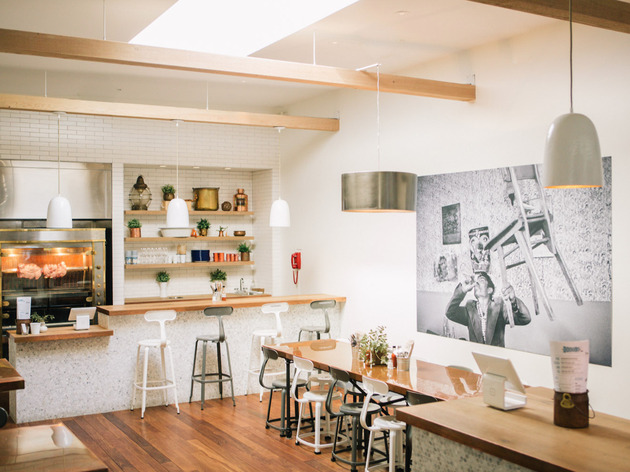 This family-owned West Portal restaurant is a hidden gem, swathed in dark wood and decked with honeycomb-inspired art. 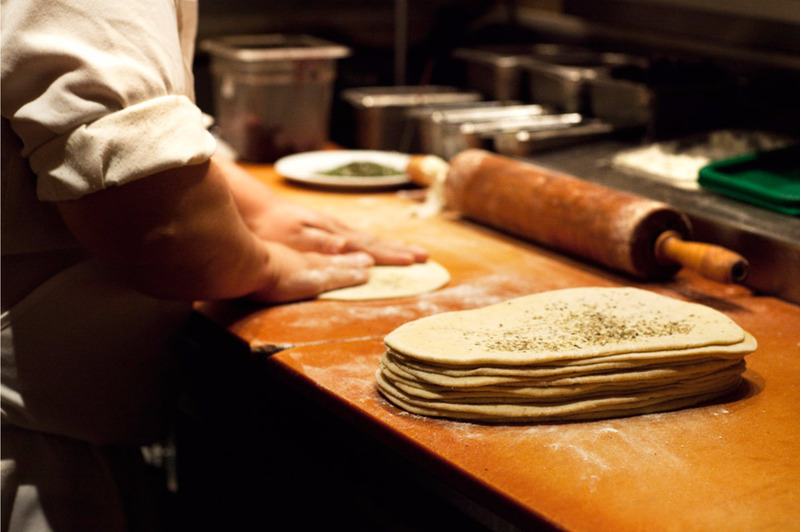 The Loufas family whips up most of the menu from scratch, including daily-baked pita bread, house-made spreads and dips ($6 each; 4 for $18), and even locally-grown honey. 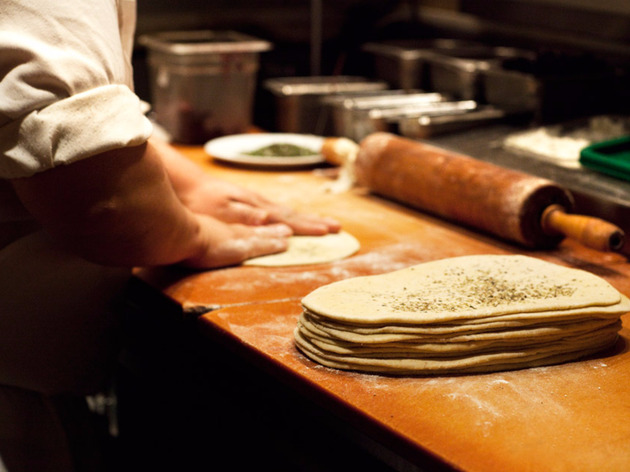 Apart from traditional dishes like grilled lamb chops with roasted butternut squash and rotisserie chicken with roasted cauliflower and lemony Greek potatoes, Orexi is known for its flatbreads. The pillowy dough is baked to a light char, then topped with ingredients like house-made Greek sausage, feta and mizithra cheese, oregano pesto and more. 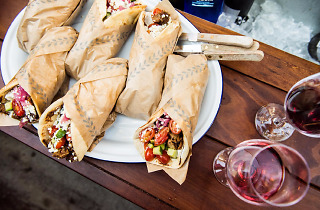 Wash it all down with Greek beers from Fix, Mythos and Septem. Yes, the name is Turkish. 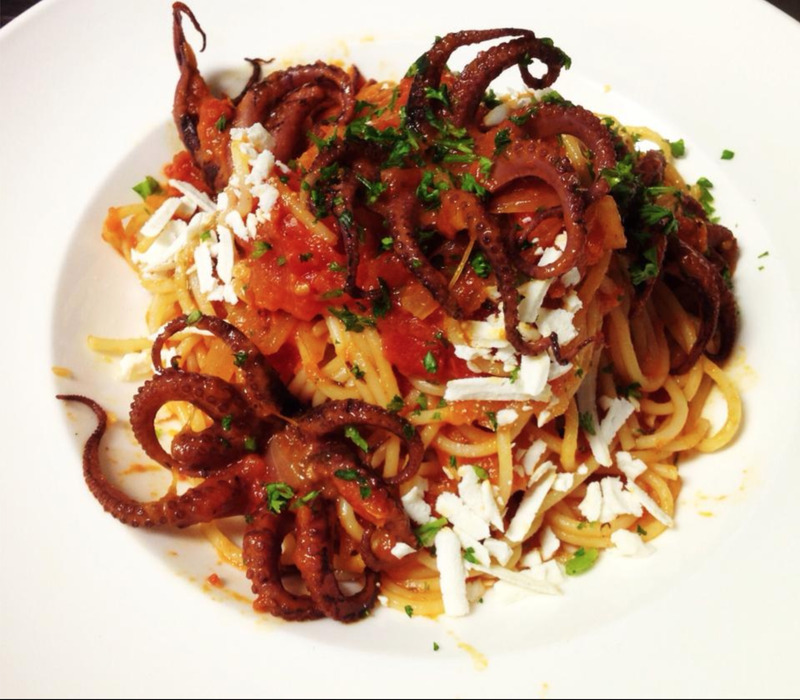 But executive chef Emrah Kilicoglu—who also owns Troya nearby—liberally adapts dishes from Greece. The space is warm and inviting, its vibrant red walls adorned with photos of the Mediterranean. One could make a meal out of the mezes alone, from the homemade hummus and peppery roasted cauliflower to grilled haloumi with mustard, almonds, olives and tart cherries. (The feta cheese “cigars,” sweetened with pistachios and honey, are a longstanding favorite.) Paprika-spiced lamb and chicken kebabs are a specialty, as well as the moussaka, made with spiced lamb, bell pepper and eggplant. 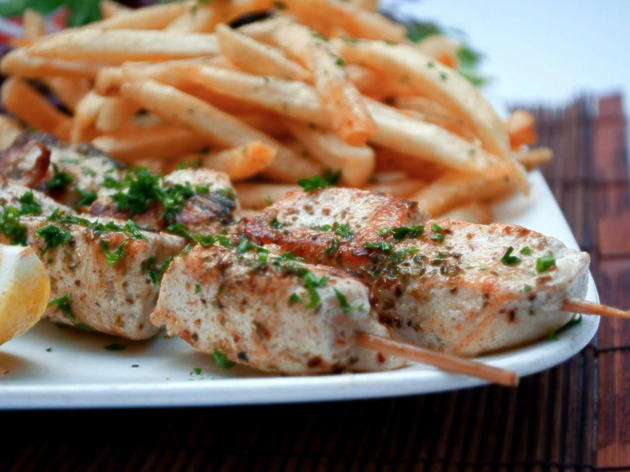 The family-style prix fixe offers six appetizers, an entree and dessert for $38. This casual, family-run eatery is a popular spot for happy hour, when wine and beer are $2 off and hummus is free. Fragrant slabs of lamb and beef roast on two spits—they’re shaved onto generous wraps during the day and heaped onto mixed grill platters at night. Start with the kibbeh, deep-fried ground lamb with raisins, pomegranate seeds and bulgur. The hearty main dishes are served with salad, rice, bulgur and homemade bread. Lamb not your jam? Vegetarians swear by the meat-free moussaka, made with potato, eggplant, zucchini and drizzled in a rich tomato and béchamel sauce. 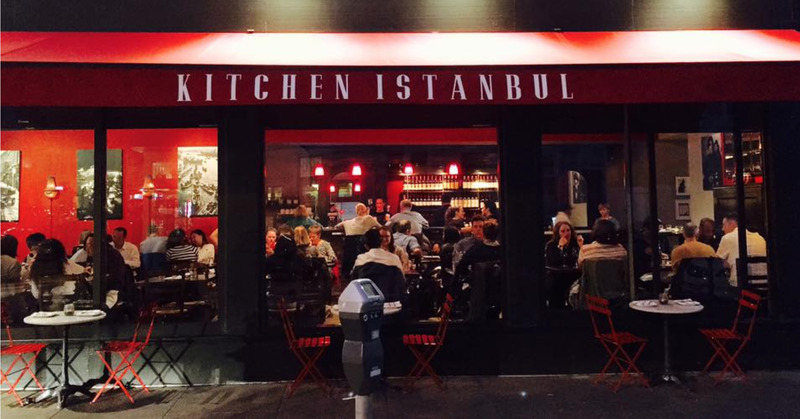 This Pac Heights mainstay was founded in 1979 by Levon Der Bedrossian. 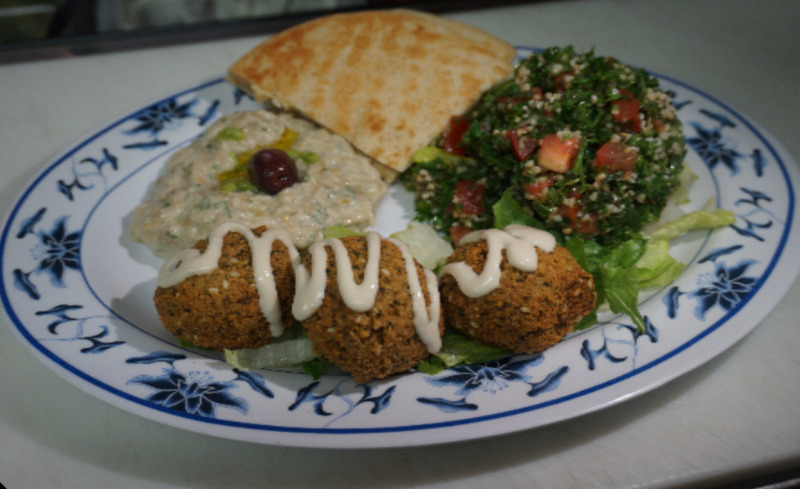 Though Mediterranee has since expanded to three city locations, plus another in Berkeley, it remains family-owned and operated. The menu is a mash-up of Mediterranean and Middle Eastern flavors, particularly from Greece and Armenia, and even the beer selection is diverse, hailing from Greece, Lebanon and Armenia. (Don’t worry, there’s retsina on hand, as well.) 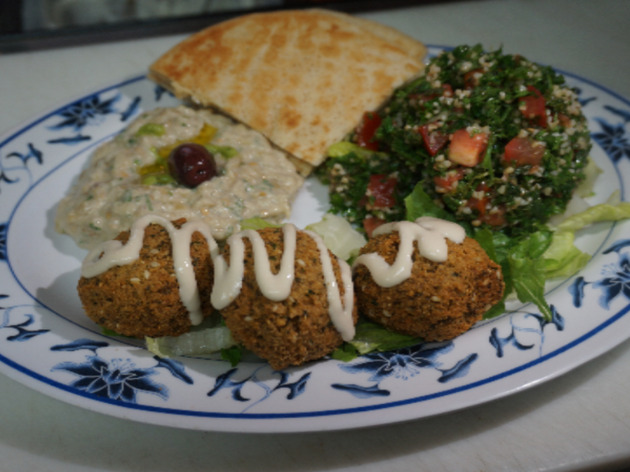 The dips and appetizers are made in-house daily, including hummus, baba ganoush, tabuleh, dolma and djajiki. Couples can gorge on the sampler platter, which includes a tasting of 10 house specialties alongside salad, dips and rice. Don’t miss the flaky, buttery spinach and feta filo. Cousins Fadi and Zaid Masarweh opened this casual, grab-and-go eatery in 2014 serving traditional, affordable Greek fare. 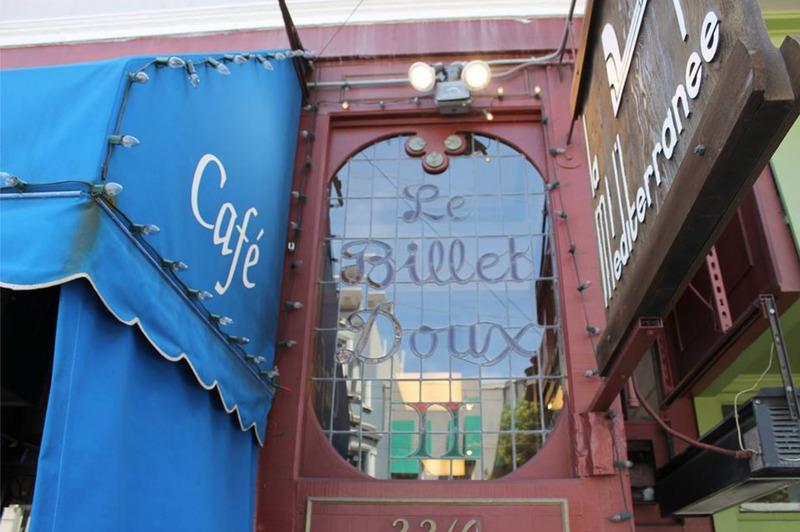 Since then, the duo has expanded to additional locations in Chinatown and San Jose. Ayola has earned a loyal following among the downtown lunch crowd for its generously stuffed pita sandwiches and salads. Meat is sliced fresh off the spit for gyros, and sauces and dips are made by scratch. (The addictive house sauce is meant to be slathered on everything, trust us.) 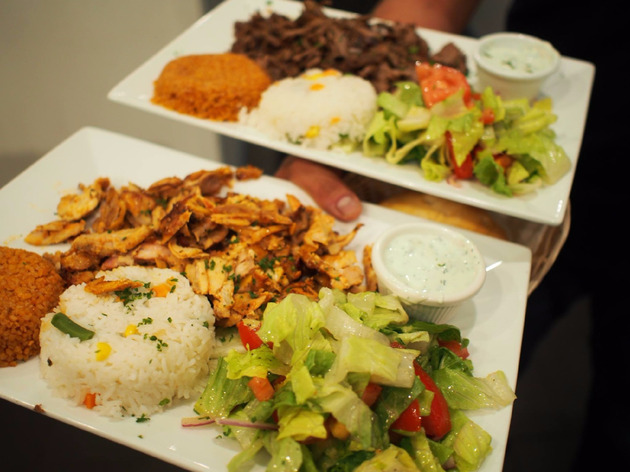 Order the combo platter, which includes four choices of meze or meat, along with salad and pita.